Record the real cost of your manufacturing processes and the kgCO2 emissions of your installation during different time bands. 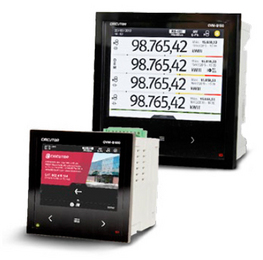 Obtain information about a large number of electrical variables in real time to achieve the maximum energy efficiency of your installations. 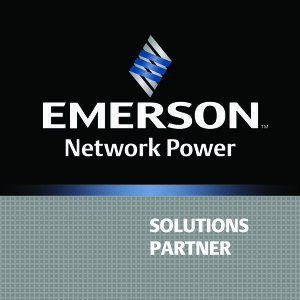 Record the total cost of electrical energy consumed by your installation, including the operating time of each line, process or activity. Use your inputs and outputs to manage loads and processes, and to combine different communication modes used in your installation to gather data. 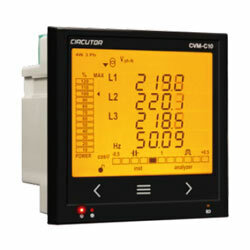 The CVM-C5 is a multifunctional multimeter for 96×96 mm panels with a compact energy log and four-quadrant measurement. Suitable for low-voltage installations in three-phase circuits with three or four wires, two-phase circuits with or without neutral or single-phase systems. Uses CIRCUTOR CTs or /5 A or /1 A transformers. Maximums, minimums and maximum demand. 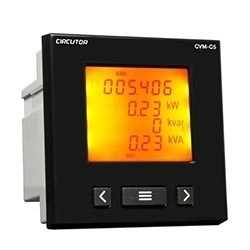 The CVM-C10 is a power analyzer for 96×96 mm panels with a compact energy log and four-quadrant measurement (consumption and generation). The CVM-B100 is a High-end power analyzer, versatile and expandable, with 4-quadrant measurement (Consumption and Generation).